My son complained because I was making birthday cakes for my granddaughters, but haven’t made him one. 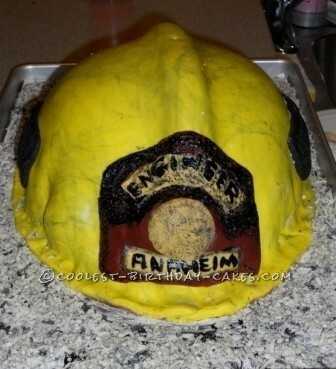 Since he is a firefighter, I decided to make him a firefighter helmet cake. I baked the cake in a round oven proof bowl. For the rim on top, I used marzipan. 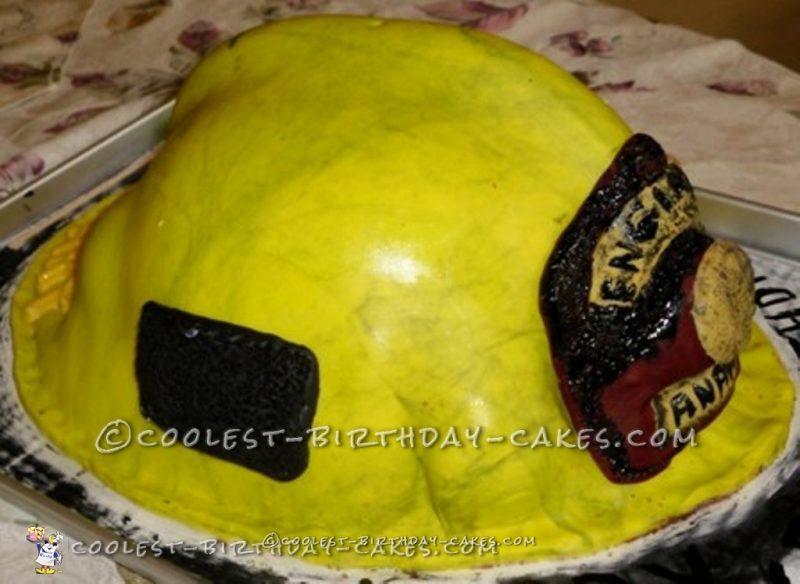 To make it look like a used helmet, I colored marshmallow fondant with yellow and black food colors, mixing it so it looked marveled. On the side I attached black fondant and textured it to look like Velcro tabs. The front was made with red fondant and a shield covered in gold. I again textured in black to make it look charred. I placed the helmet on black/gray colored coconut flakes, to resemble Ashes. The rim of the helmet actually looks like it was melting in the ashes. Needless to say, my son and everyone loved it.